It’s been on our minds. It’s been in our posts. I’ve been re-reading. The Fourth book in the Raven Cycle comes out early next year and I want to get you as excited about the books as we are. I am here to pump you up. The Raven Cycle is about a quest to find a sleeping King. Like all quest stories, it involves a band of merry companions who all have their secrets, their desires and their heartaches. Our Quest Squad contains the Raven Boys: Richard Campbell Gansey III, Ronan N. Lynch, Adam Parrish and the on-again, off-again Noah Czerny who are accompanied by the not-psychic Blue Sargent. They are searching Henrietta, Virginia for a ley line that should lead them to a Welsh King that was buried in America. A medieval Welsh king. I am kind of a Cymruphile so that one little detail was really all my sister had to say to sell me on these books. A Welsh king buried in America and prophesied to return to unite the Welsh and end English tyranny? Sign. Me. Up. The first installment of the books brings the team together. Blue Sargent is the only non-psychic in a psychic family and a townie in Henrietta, Virginia home to Ivy League Feeder School Aglionby Academy. Blue’s family run a tarot card reading business and a psychic phone hotline. 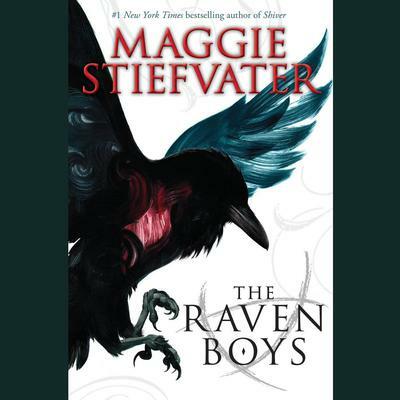 The Raven Boys are students at the fancy college prep. Adam is a scholarship kid, Ronan Lynch appears to be the son of a gangster, Noah is quiet, unassuming and fuzzy around the edges, and Gansey is Old Virginia money and the driving force behind the quest for the Welsh King. Blue keeps crossing paths with the boys in ways that make their teaming up seem fated and inevitable. They have to wake the ley line before someone else gets to it and harnesses its power. Of course, no quest for long forgotten item would be complete without opposing teams questing for the same thing. This book was a lot of fun to read. I enjoy all of the characters and I particularly like how they all have their definite strengths and their weaknesses. Ronan is violent where Gansey is diplomatic. Adam is thoughtful where the other boys are thoughtless. Blue is grounded where everyone else has their head in the clouds. On top of the main story of Blue and the Raven Boys, there is a subplot involving Blue’s family that is also complex and interesting. I cannot wait to see how the series plays out. So, you should get in on this. Quests, Kings, Psychics, ley lines, treasure maps, bad guys, flawed good guys, and, I can’t believe I’ve waited until now to mention this, trees that speak Latin!